Our son and daughter were playing last night and they got a little rough. My daughter fell and hit her mouth and arm by the window. She was very sore, but we didn't take her into the ER until today when she said the pain on the arm was very acute - she wouldn't even let us touch the arm! So we went to the ER and sure enough, she has a green break. She was in training for her first meet in Gymnastics which will now have to be put on hold, and she's very upset about that. She's only 8 years old. Anyway, let's all shower her with "get well soon" cards! I'll start. Sandy Morgan Card's on the way! How disappointing for Marissa! Dave Smith I appreciate the opportunity to send a card to your daughter. I have experienced the miracle of cards myself, as well as my wife Lori. We loved getting cards during her Brain Anuerysm episode a few weeks back. Anna Banks At her young age, this is very disappointing. I'm sure this is difficult for you and your wife too. I'll remember you in my prayers. Lots of love coming your way!!! Yes, this is very hard. First broken bone for either of the kids. Marissa is taking it very hard because she keeps wanting to use it and we have to keep after her to not use that arm at all! The ortho wasn't open on Saturday, so we'll have to call 1st AM on Monday to get the appointment scheduled. It will be up to him what he does and for how long she'll be out. He may put on a full cast, redo the 1/2 cast and sling, or something else. We have no idea at this point. But he's the expert, so he'll know more than the general E/R doctors do, who said that they saw "something" but didn't quite know what to make of it, so they were going to treat it as a fracture and let the ortho do the rest. I'll post the results once the appointment happens if you want. Dave Smith Kody and I and his 2 sons and my son are in california on a guy's trip. We are down here watching an ATV race, you know how we love our motorsports! I just read this post to Kody, he wanted to send his regards for a speedy recovery for Marrissa. Also Kody say's Hi to everyone, he is driving while I type. I am sending visions of complete healing for your little one, as well as a card. I see her up on the balance beam, going for the gold in no time at all. 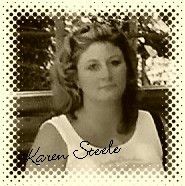 Karen Steele Sending the card tonight, my daughter is also in gymnastics. Wishing a fast revovery for her.